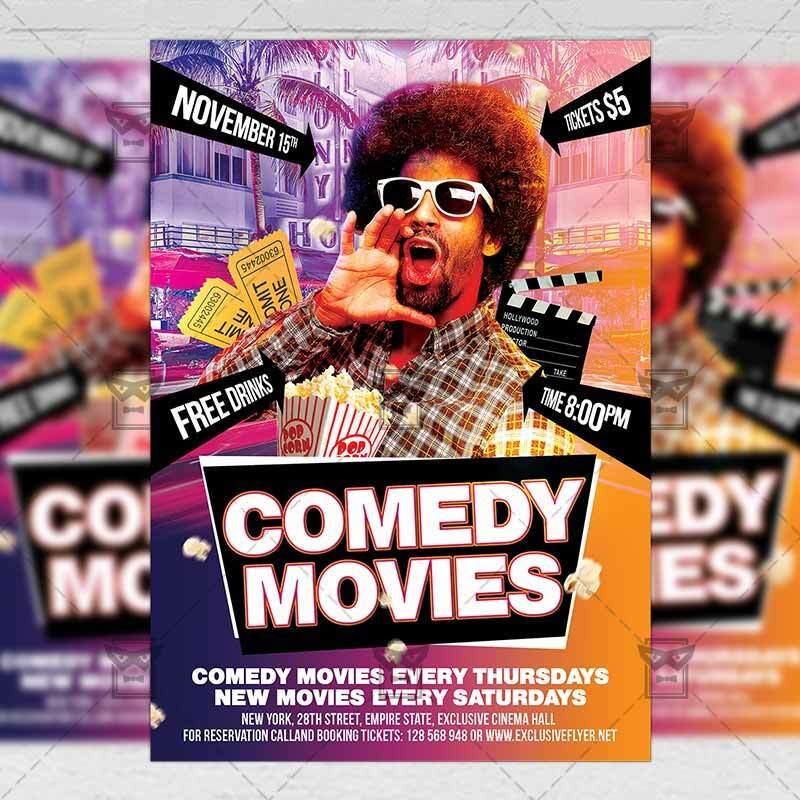 The Comedy Movies is the exclusive Photoshop PSD flyer/poster template designed by ExclusiveFlyer to promote your Comedy Movies Night. 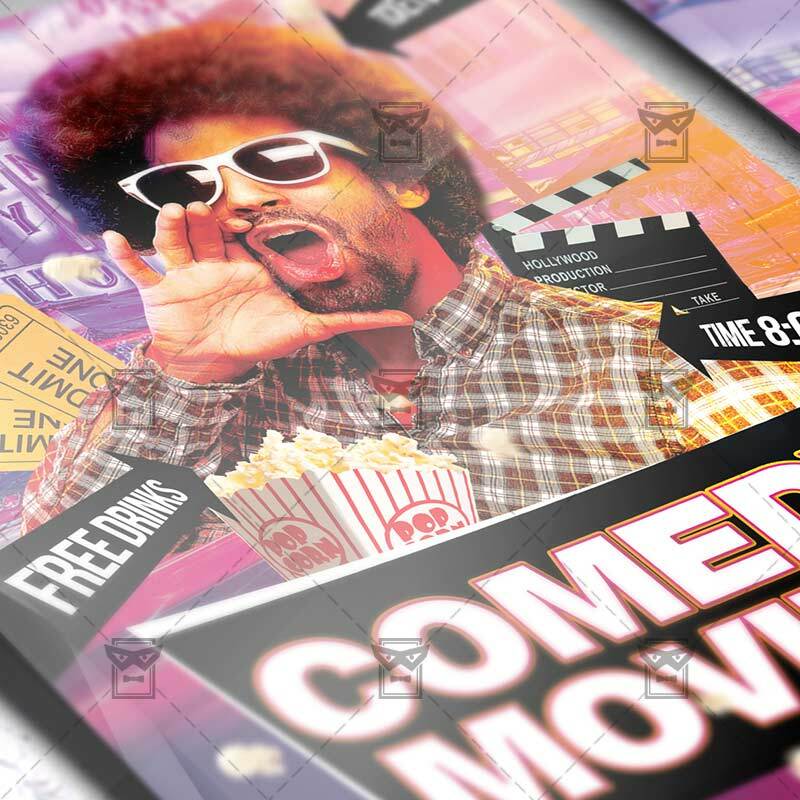 This is a modern, stylish flyer and just be used for Movies Night, Film Festival, Cinema Promotion etc. SKU: 0.1679. Category: Club Flyers. 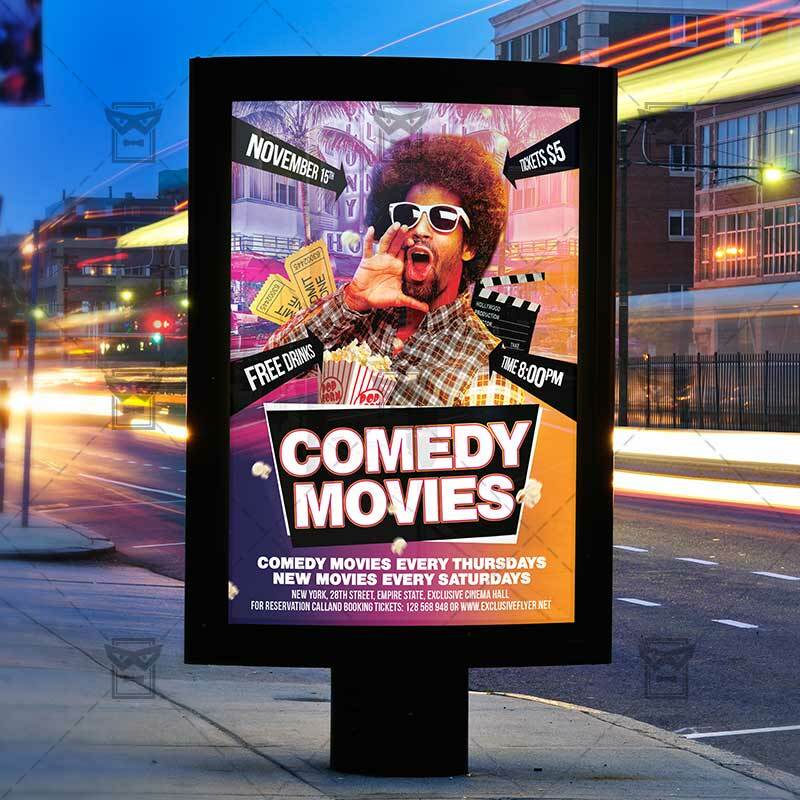 Tags: cartoons, cinema festival, cinema party, coca cola, comedy movies, films, movie, movie night, pop corn. The Birthday Bash is the exclusive Photoshop PSD flyer template designed by ExclusiveFlyer to promote your Birthday Bash. This is a modern, stylish flyer and just be used for a Birthday Bash Party or Vip Night.